Creative energy, thought-driven design and astute technology intertwined to make dynamic solutions. Take a vision. Combine it with seamless, scalable, and user friendly technology to make it reality. It’s that simple. in the colors of an online experience, the images of your branding campaign, and the fonts selected for the body copy. What is your company communicating? fragile elements combined to result in the creation of a solution that has results to a company’s bottom line. Branding is about creativity, consistency and clarity through the various mediums your organization communicates. IONA’s process from strategy to implementation into collateral, print campaigns, online experiences and applications is recognized as an industry leader. Creativity merged with technical design and an analytical approach to search engine optimization is the combination for successful online experiences. 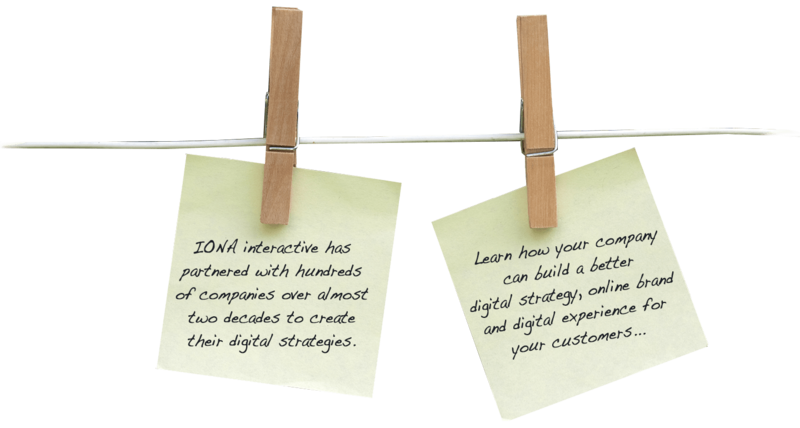 IONA creates award winning on-line experiences through the creation of intelligent design through the eyes of the target audience. Every client is different. 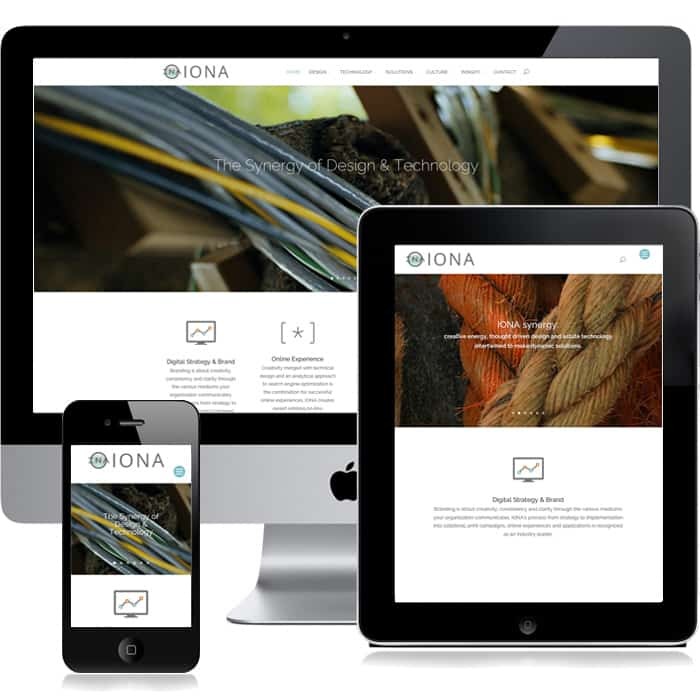 Scalability and customization are IONA’s strong suites and what our clients expect. From custom content management system build-outs to custom B-to-B applications, IONA has decades of experience creating solutions that clients rely on for daily operation. IONA is a long term partner for our clients. We continue to manage solutions through evolving technology, business strategy, and marketing campaigns through continued design, technology, and support management for on-line communications and solutions. With an endless ocean of digital brands how is your company recognized in the digital world?